Cryo-electron microscopy (cryo-EM) plays an increasingly prominent role in structure elucidation of macromolecular assemblies. 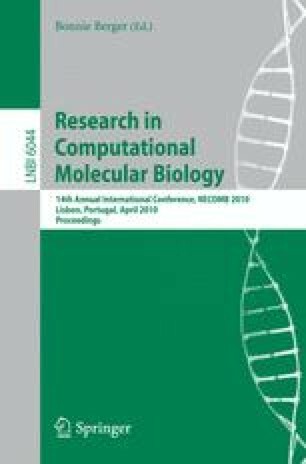 Advances in experimental instrumentation and computational power have spawned numerous cryo-EM studies of large biomolecular complexes resulting in the reconstruction of three-dimensional density maps at intermediate and low resolution. In this resolution range, identification and interpretation of structural elements and modeling of biomolecular structure with atomic detail becomes problematic. In this paper, we present a novel algorithm that enhances the resolution of intermediate- and low-resolution density maps. Our underlying assumption is to model the low-resolution density map as a blurred and possibly noise-corrupted version of an unknown high-resolution map that we seek to recover by deconvolution. By exploiting the nonnegativity of both the high-resolution map and blur kernel we derive multiplicative updates reminiscent of those used in nonnegative matrix factorization. Our framework allows for easy incorporation of additional prior knowledge such as smoothness and sparseness, on both the sharpened density map and the blur kernel. A probabilistic formulation enables us to derive updates for the hyperparameters, therefore our approach has no parameter that needs adjustment. We apply the algorithm to simulated three-dimensional electron microscopic data. We show that our method provides better resolved density maps when compared with B-factor sharpening, especially in the presence of noise. Moreover, our method can use additional information provided by homologous structures, which helps to improve the resolution even further.